The Lighthouse Guild held its annual “Posh Affair” gala at the Four Seasons Restaurant on May 9 at 7:00 PM. This is an evening that attracts politicians, celebrities and socialites including: former Mayor Rudy and Judith Giuliani, Star Jones, Hamish Bowles, Blythe Danner, Cicely Tyson, Valerie Simpson, Jean and Martin Shafiroff, Muffie Aston, Joanna and Brian Fisher, Charles and Karen Phillips, Barbara Winston, Amy Fine Collins, Somers and Jonathan Farkas, Susan Fales Hill, the Catsimatidis family, Sharon Bush, Francine Lefrak, Nicole Miller, etc. Everywhere you looked there were luminaries dressed in cocktail attire fraternizing with each other and lamenting the soon to be demise of this iconic restaurant. This night was honoring another iconic restaurateur Michael McClarty who owns Michael’s and designer B Michael-tonight was all about the Michael’s. I even sat with author “Michael” Gross who is coming out with a book on sordid fashion photographers in July which will feature Terry Richardson, Mario Testino, and Patrick Demarchelier. Frequently photographed Margo Catsimatidis also received an award and we were shown a film that gave us a history of her talents as a dancer, advertising executive and philanthropist-dedicating time and energy to the Lighthouse organization. The Lighthouse Guild is an American charitable organization that was formed in 1905 and is devoted to rehabilitation and advocacy for the blind. In September 2013 Lighthouse International merged with the Jewish Guild for the Blind and the new organization is now known as Lighthouse Guild International and resides at 15 West 65th Street. Speaking to Jim Dubin, the current Chairman of the organization, he informed me they have over 30,000 plus clients and a budget of over a billion a year with over half-a-million raised this evening and over $9 million raised during the year. Furthermore, they have 11 programs to manage long term care and have a mental health clinic to help not only the blind but also their family members cope. Dubin said there was a preschool, a diabetes program and a school for the blind and visually impaired in this all-encompassing organization which has been serving the visually impaired for 200 years. Dubin then went on to express remorse that this was one of the last events at the Four Seasons. 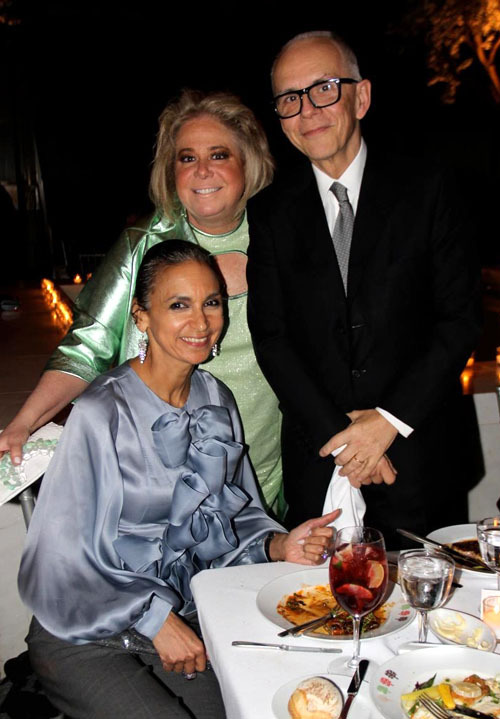 Another great philanthropist and Four Seasons lover Joanna Fisher, who wore a lime green Peter Hidalgo dress, and counts Four Seasons owner Julian Niccolini as a great friend for over forty years, said that Niccolini was a “host to all of New York society and to most of the world” and there will be no replacement for this gastronomy giant. While Blythe Danner, the magnificent actress and mom to Gwyneth indulged in some cotton candy, I asked her who her style icon was and she replied unequivocally Gwyneth claiming that her daughter got all her fashion flair from dad Bruce. Blythe is effortlessly elegant and chose a pink Max Mara suit, her favorite designer, because she loves how well Mara’s stuff holds up and the house’s Italian sensibility. 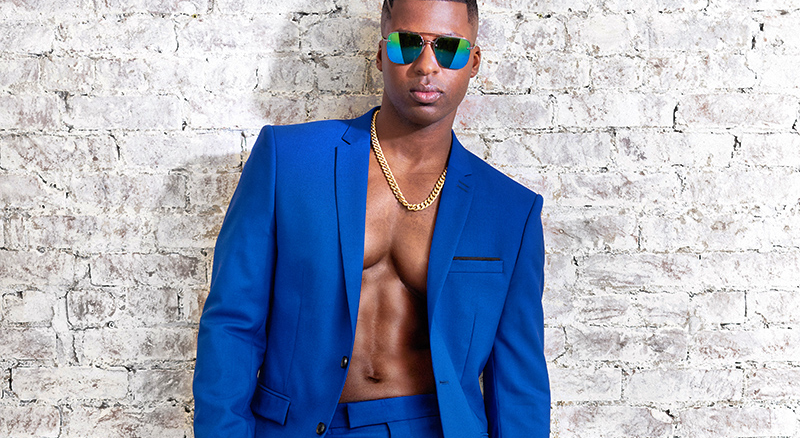 While B Michael is an American fashion designer, the quality of his clothing is of a European design house, and actress Cicely Tyson was there to recount being invited to Oprah’s legend event and not knowing what to wear until Susan Fales-Hill introduced her to B and then “ruined her for anybody else wanting to dress her.” Tyson said she admired his humanity and his ability “to always try to make it work.” B Michael said that to have vision is not “just about what we see but what we inspire” and we were then treated to an inspiring rendition of “Reach Out and Touch” by Valerie Simpson. Amongst all this revelry and beauty, I had the opportunity to speak to Irina Dvorovenko who was a principal dancer at ABT and is now an actress appearing on the show “Flesh and Bone.” Dvorovenko said her favorite male dancer was Nureyev for his charisma and that Misty Copeland, the first principal African American ballet dancer needed to grow as a ballerina but was a great Ambassador. Irina was wearing a B Michael dress and was accompanied by her husband and dance partner of 17 years Maxim Beloserkovsky, and said she was unsure if she would attend Monday’s ABT gala since she was not invited-even though she and her husband were principal dancers for over 17 years. On that shocking note, I retrieved my coat and headed out to enjoy the balmy weather; taking one last glimpse at the Four Seasons dining room and feeling dejected at the thought of this landmark being dismantled in the very near future. Philanthropist, Author Jean Shafiroff, Mayor Rudy Giuliani, Socialite Muffie Potter Aston and radio personality Mark Simone. Author Susan Fales-Hill, Real Estate doyenne Joanna Fisher, and famous interior designer Robert Couturier. 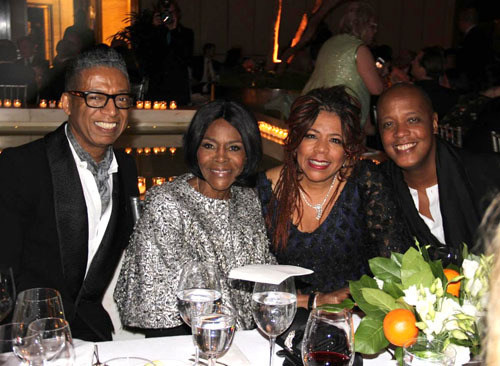 Designer:honoree B. Michael, with actress Cicely Tyson and singer Valerie Simpson, and design director of womenswear Lafayette Company Edward Wilkerson. 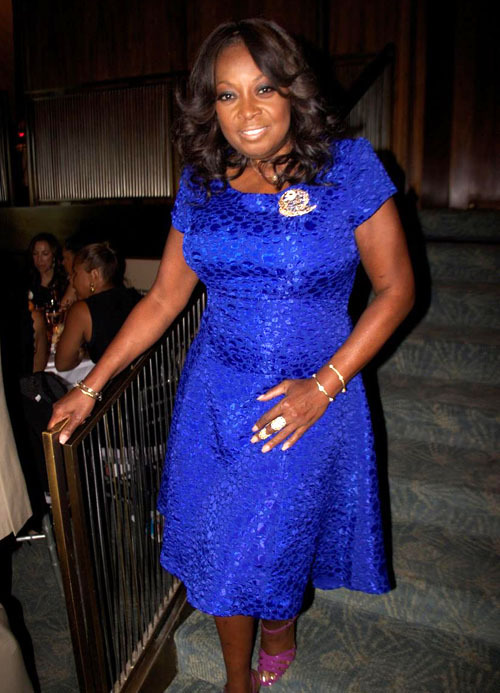 Lawyer:television personality Star Jones in B Michael.